If you’re looking for a car with a very limited budget, you’ve come to the right place! A lot of new buyers to the classic car or performance market have a tight budget for their car. Many of them can’t find a decent car without severe rust, no engine, faulty parts, and a lot of work. I put together a list of cars under $5,000 from 1975 and below. Do keep in mind these are in no specific order. 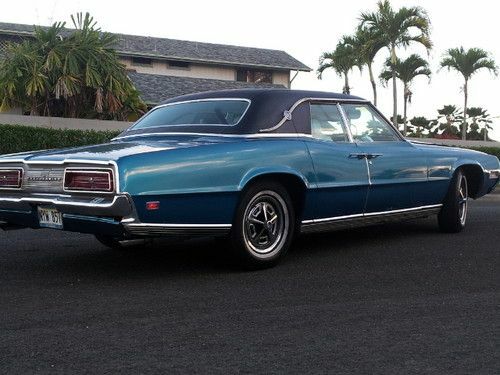 A 1969 Ford Thunderbird. The 4 door, like the one in the picture, does have suicide doors. Pretty cool. 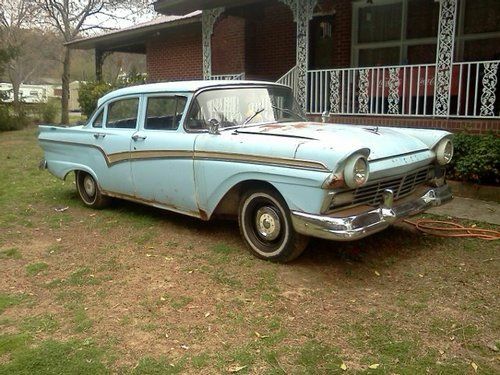 This car can be found anywhere from $3,000 to $5,000 in a good condition. It’s definitely one to get people’s attention on the road. It’s one of the first car to really have pop “out” lights. Some muscle cars in that era were starting to show up with them, such as the Dodge Charger. You might have to do some work removing surface rust, but nothing more than a sandblast. The turn of the decade styling is noticeable inside and out, with some having the interesting red interior. The 1967 looks kind of like a mid 70’s Lincoln, but if you don’t like that style, there’s always a 1968 and 1969 for you. A 1972 Volkswagen Beetle. This is what you can probably find if you’re lucky. You already knew this was going on here, didn’t you? The Volkswagen Bug is a decent car to use as a first classic, as it is easy to do bodywork on. It is pretty sluggish though, but most older vehicles are anyway compared to today’s standards. The metal is pretty thin on the body itself, so be ready to do some work on it when finding one of these. The range for these are about $2,000 in a bad condition to $5,000 in a decent condition. The downside of the Beetle is that it’s very unsafe. There’s practically no crumple zone in the front, sides or rear, and like I said about the thin metal, it almost destroys itself in a side impact. But you probably don’t plan to make a complete monster bug, right? A 1957 Ford Custom 300 4 door. This is what you might find in the lower range of your budget. If you’re up for a decent project, the Custom 300 4 door is for you. Looking for one that’s in perfect shape is going to be quite close to impossible. The most obvious issue is going to be that the resale value is going to be not so great because it is a sedan, and everyone is looking for a 2 door model. I found many cars for sale with small amounts of surface rust, a few rips on the seat, and some engine work needed. These cars will cost you anywhere from $3,500 to $5,000 in a semi-restorable condition. You will most likely have to put another $1,000 to $5,000 in doing the outside and interior, but don’t worry! Some models like that are going for $15,000 and even up to $20,000. It’s still not too great at resale, but you will eventually sell it. A 1968 Ford F100. You may find something like this in the budget. Sometimes, people need a truck but want a classic car. This truck is the way to go. Most of the time you’ll find one in need of work on the body, and somewhat inside. I found dozens going from anywhere in this condition for $1,500 to $4,500. The rust is an issue, as you may need to do a sandblast which can be costly. Still a great car for a daily as well as a classic car, as you can find them most of the time with A/C and a radio. The stunning part about this F100 is that they are practically everywhere! I used to see F100’s on the way to school all the time, and they all had that ‘For Sale’ sign in the window. There are just so many you can find out there if you are looking for a good one. That’s also the worst issue. Ford F100’s from this class are horrible at selling. It takes a long time for one to be actually noticed online or in person. Did I miss some cars? Are one of these wrong? Be sure to notify me so I can make this list as accurate as possible. I’ll also put the links to the pictures below.